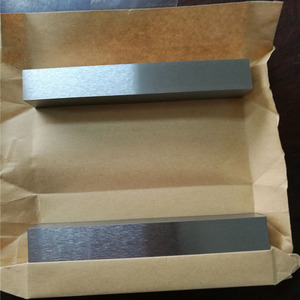 YG6 14.80~15.00 91.1 2100 High wear resistance but less than YG3, better anti-impact and anti-vibration than YG3X, Suitable for cast iron, non-ferrous and alloy, non-metal material semi-finish machining and finish machining. 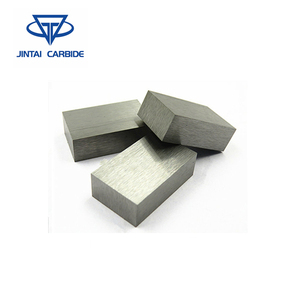 YG643 13.60~13.80 93.3 1700 High wear resistance, high anti-stick property, suitable for cast iron, high temperature cast iron, high temperature alloy, stainless steel, quenched steel and non-ferrous processing. 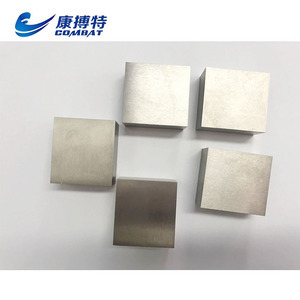 YG813 14.30~14.50 92 2200 Good wear resistance, high bending strength resistance and anti-stick property, suitable for processing high temperature alloy, stainless steel and high Manganese steel and other material. 3 . Very high strength and excellent wear resistance for low-impact applications. 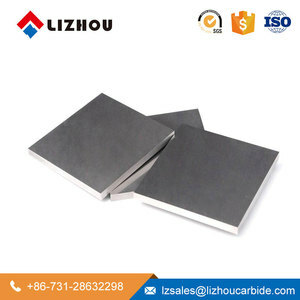 Not recommended for stamping thick stainless steel GS30B K30 10 14.4 91.8 2400 0.8 10% corrosion-resistant binder with sub micron grain structure. 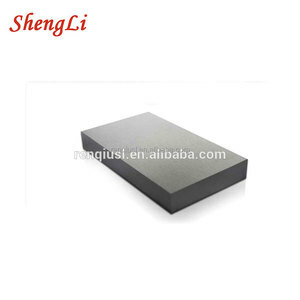 Very good wear resistance with high edge sharpness but less shock resistance than higher binder grades. Q: What is your payment terms9 A: Payment &le;1000USD, 100% in advance. Q:How do you insure the quality9 YUNCH:We send mill cert for the products with delivery. And we also can do TPI(Third party inspection)on the products if neccessary. 2, We will maintain effective and efficient communications with our customers. Quality Control * We will inspect and test all products after finishing production and before delivery. * We can provide dimension & inspection certificate as customers' requirements. 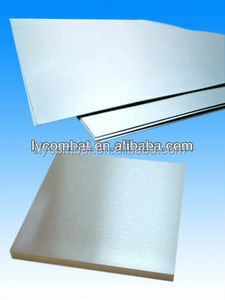 Alibaba.com offers 3,099 tungsten carbide sheet products. About 15% of these are tool parts, 13% are tungsten sheets, and 1% are steel sheets. 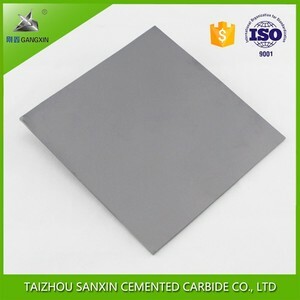 A wide variety of tungsten carbide sheet options are available to you, such as power tool parts, construction tool parts, and hand tool parts. You can also choose from free samples, paid samples. 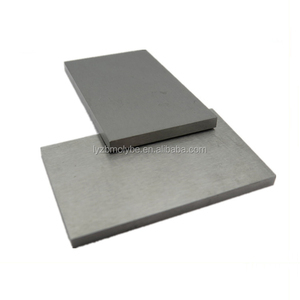 There are 3,108 tungsten carbide sheet suppliers, mainly located in Asia. 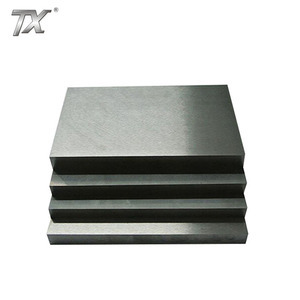 The top supplying countries are China (Mainland), India, and Japan, which supply 99%, 1%, and 1% of tungsten carbide sheet respectively. 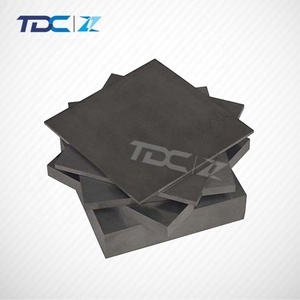 Tungsten carbide sheet products are most popular in North America, Domestic Market, and South Asia. You can ensure product safety by selecting from certified suppliers, including 1,504 with ISO9001, 191 with ISO14001, and 128 with Other certification.